- Hello. My name is Brenden Brown. I am 18 years old and live in Dacula,Ga. I am attending Georgia Gwinnett College for my major in business and a degree in health and fitness. I intend on owning and operating my own gym someday. - I have been lifting for six years but have only been competing for four years. I have competed in the 165lb to the 183lb weight classes within the four years. For my first three years of competing I only lifted raw. It wasn't until last January when I did my first equipped (single-ply) meet. I have competed in the Teen II, Teen III and now the open division. - My last competition was Men’s Nationals in Philadelphia, Pensilvania. I went 9/9 and meet PR’d on every lift. I won the Teen III 83kg class. - My first competition was in the Summer of 2010. That meet is what made me realize my true love for powerlifting. - From my first meet ever to my most recent I have improved in every aspect! From form to speed, strength and mentality. - My next competition is on October 26th, 2014 at the Georgia and Southern States Championship. I will compete in the 181lb Teen III and Open Division. - Focus on me and me only during my competition. 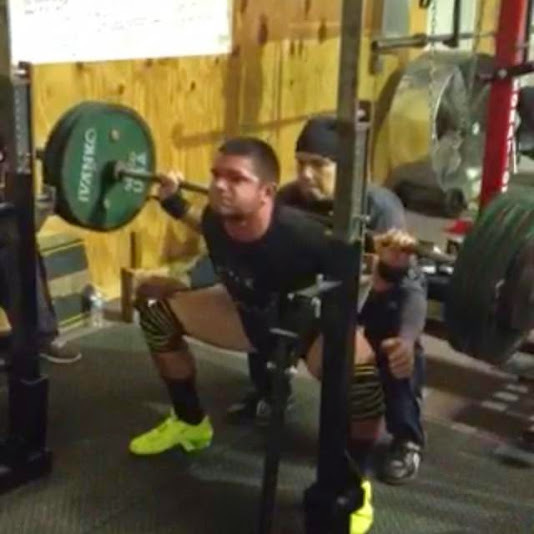 - I live in Dacula, Ga and I train at Khaos Barbell in Auburn, Ga with Matt Christie. - My hobbies besides powerlifting are; Listening to music, Xbox, eating and lots of sleeping. - My parents by far are my biggest role models. If it wasn't for their love and support I wouldn't be where I am today in powerlifting. - I’m a pretty emotional guy haha you put on a good sad movie and I’ll ball my eyes out. - I’d make all federations be drug tested. I believe all federations lifters should have a fair competition. - I work at Carter Lumber in Winder, Ga. At some points it can make training difficult, but powerlifting is a part of my daily life so I find a way to push past those obstacles. - One of my trainers George Herring had been training me for football and wrestling when he one day asked me to do a push/pull meet down in St. George Island. Ever since that meet I’ve been hooked! I’ve been competing for four years now. - As of now, no, but I am planning on getting more involved very soon. - FORM, FORM, FORM!! and also to be patient. The numbers will come with time. - To make the Junior World Team in 2015 and to win Collegiate Nationals in 2015. - To win a world championship. - George Herring for sure! He is the one I looked up to in my beginning years in this sport. If I had to choose another lifter to be my favorite it would have to be Ian Bell. His work ethic and dedication amazes me. -Out work your competition every day. - My favorite lift is a tie between squat and deadlift. Getting to hold that much weight across your back is so exhilarating and deadlift is the real test of pure strength! I just love it! 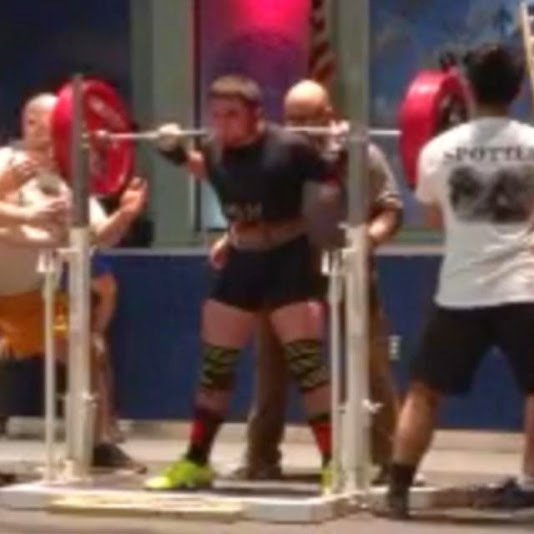 - I honestly haven’t had the opportunity to compete against anybody that really stands out to me, but the kid I competed against at the State meet this past March really shocked me with his strength and being new to the sport of powerlifting. - I am my own rival. I compete against myself to get better each and everyday in the gym and on the platform. I am the only one who holds me back from achieving anything. - Overcoming the fact that I think too much about each lift. If I can just walk out on the platform and perform each lift as if it’s at the gym then I’ll have reached my goal. - I’d like to give a huge shoutout to my family! They've been there for me through it all, from the long travels, hotels, gear and meet expenses. I am so very thankful for my Mom, Dad and Brother. Also to George Herring and Matt Christie. They have trained me to be what I have become today, I couldn't be more thankful for their time and dedication to me.